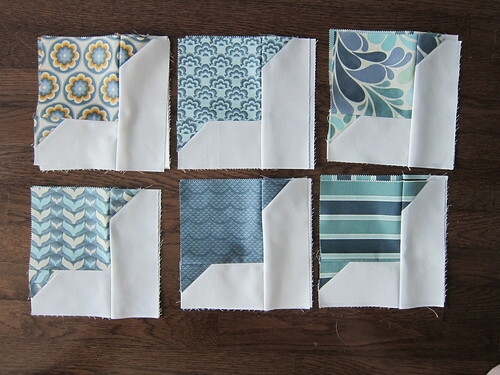 You may remember the Smitten quilt challenge that Kelsey and I were working on in October. Although Kelsey finished hers on schedule like a champ, I somehow lost my steam. 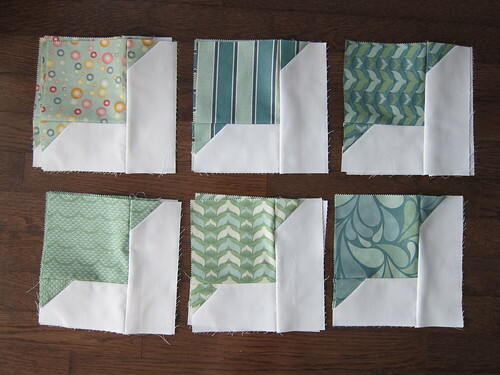 You may recall that at my last update, I was working on blocks and block configurations. Funny thing is that after that post, I never really picked it up again and this project has been languishing. Good news is that I finally seemed to have gotten a second wind and last night while working my way through my usual line-up of holiday viewing (Love Actually, Elf, Charlie Brown Christmas, Miracle on 34th Street - amongst others). 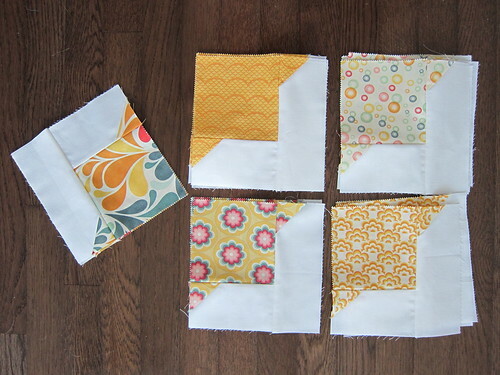 Finally all of my blocks are finished. 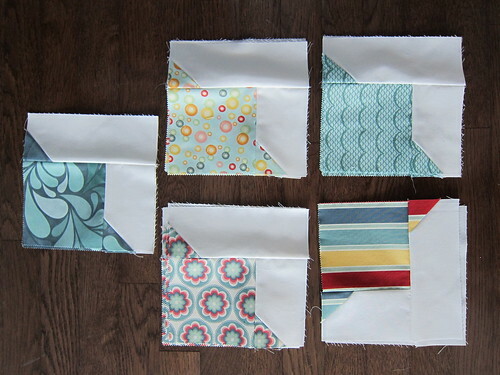 There are 5 main colours in my charm pack and I am grouping blocks one colour at a time. Last night I grouped them all by print and colour, moving blocks around between colour groups until each colour had a number divisible by four. 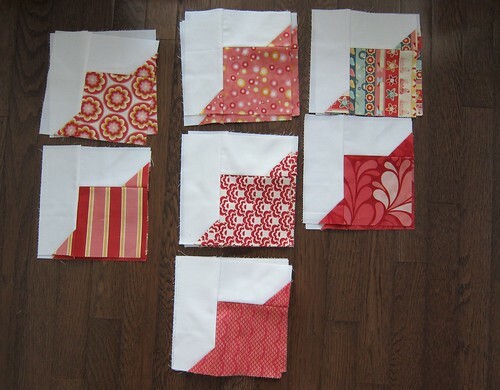 Hopefully by next week I'll have all of these sewn together and I'll be working on layout for my quilt top. I'm glad to finally have some momentum back on this quilt!